The cold recycler and soil stabilizer truly comes into its own on confined sites, thanks to its impressive manoeuvrability. Requiring no special transportation permit, it is ideal for one-day jobs. 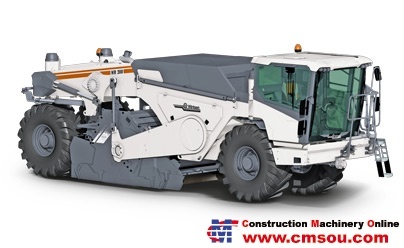 It has a large, laterally displaceable, glazed cab, camera system and a driver's seat which can be swivelled through 90 degrees to ensure an optimum view of the machine and the job site.